UPDATE: Michael Keyes has been located safe. 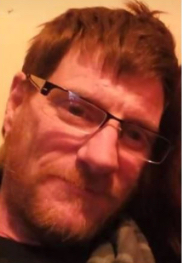 ORIGINAL STORY: Stormont, Dundas and Glengarry OPP officers are looking for a missing man. Michael Keyes was last seen yesterday around 4:15pm on Thompson Road in Chesterville. He is described as a 50-year-old caucasian, standing 5’8” tall and weighing approximately 200 pounds. Keyes has reddish hair, which is long in the front and tied in a ponytail. He was wearing a green t-shirt with a long-sleeve shirt underneath, grey checkered housecoat, grey winter coat, blue jeans and running shoes. Anyone with information is asked to call the OPP at 1-888-310-1122.